As one of 18 countries in Africa involved in reducing emissions from deforestation and forest degradation (known as REDD+), Togo is taking major strides in establishing the necessary foundation for sustainably managing its forests while addressing climate change. 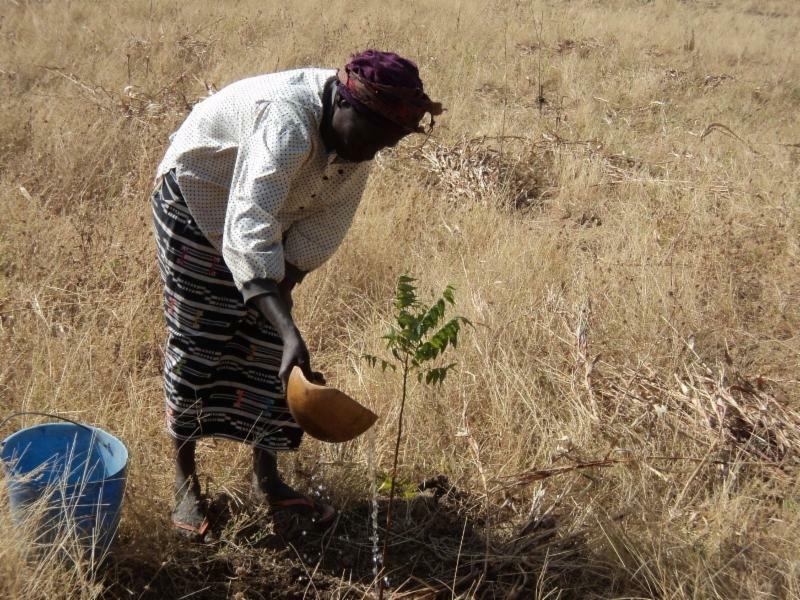 In this West African nation, forests and trees are at the heart of nearly all rural landscapes and play an important part both economically and ecologically. To conserve these resources, Togo’s national forest policy document outlines an ambitious goal of increasing its forest cover rate to 30% by 2050. REDD+ is an important strategy to help achieve this. To establish baseline data, the country undertook its first national forest inventory which ran from 2015 to 2016. The results of the inventory, published in October 2016, showed that the current rate of forest cover is 24.4% with pronounced degradation. Like many developing countries, “slash-and-burn agriculture and the consumption of wood energy are the main drivers of deforestation and forest degradation,” says Mr. Sama Boudiouw, Secretary General of the Ministry of the Environment and Forest Resources. “But we are in the process of conducting studies to comprehensively identify the causes and the consequences of deforestation and forest degradation, and we believe REDD+ will be part of the solution." The REDD+ process in Togo has achieved significant progress thanks to strong political will at the highest levels. In January 2016, for example, the government called for the establishment of the National REDD+ Committee, the National REDD+ Working Group, and the National REDD+ Coordination Unit to officially manage the work process. Today, these groups are all operational and the Presidency of Togo will convene the first meeting of the National REDD+ Committee in January 2017. With organizing groups established, Togo’s work has more recently focused on stakeholder consultations. Starting in 2015, the National REDD+ Coordination Unit has undertaken an extensive campaign to meet with and explain the carbon emission reductions program to a number of target groups with close ties to forest and land-based resources, including civil society organizations (CSOs), women, agricultural producers, traditional chiefs and youth. In Togo, CSOs are assembled at the country-level within the National Council of Civil Society Organizations for Sustainable Development (CNODD). The CNODD brings together 576 CSOs working across various sectors and serves as a discussion platform, not just on REDD+, but also on other issues related to sustainable development. Togolese women, too, have come together to form the ‘Women’s Consortium on REDD+’ which reaches 18,355 women grouped into 91 associations. Members of both of these groups have gained a better understanding of the potential benefits and impacts of REDD+ through the government’s outreach efforts. The Coordination group has shared information on emission reductions efforts with farmers and traditional leaders. The Togolese Coordination of Peasant Organizations and Agricultural Producers (CTOP) brings together 17 local-level organizations whose members grow cereals, coffee, cocoa, cotton, poultry, and livestock, while traditional chiefs, also very involved in land management, are organized within the National Council of Traditional Chieftainship (CNCT). Both sets of stakeholders could benefit from the sustainable forest and land management practices supported by REDD+. Through the outreach efforts, young people, grouped within the National Youth Council (CNJ), have also learned about opportunities that REDD+ can offer to tackle pressing economic challenges like unemployment and under-employment. The CNJ comprises 328 individual youth associations at the prefecture and regional levels. These actors are all brought together through the platform of the National Commission for Sustainable Development (CNDD). The work of local branches of this group now flow into 35 newly-established prefecture-level Commissions for Sustainable Development, which in turn helps bring input on REDD+ efforts from a community level to the national government. With the organizational support of the government and engaged stakeholders, this year Togo will begin working on its national REDD+ strategy and plans to present its progress on REDD+ readiness at an upcoming Forest Carbon Partnership Facility Participants Committee meeting. For more information, please visit Togo's REDD+ page.